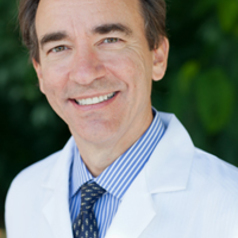 Dr. Cusi is board certified in both Internal Medicine and Endocrinology, Diabetes & Metabolism. He completed his residency at the Center of Medical Education & Clinical Research (CEMIC) in Buenos Aires, Argentina, and a clinical fellowship at Baylor College of Medicine in Houston. Prior to joining the University of Florida, Dr. Cusi was a faculty member of over 15 years in the Diabetes Division at the University of Texas Health Science Center at San Antonio (UTHSCSA) and the Veterans Health Administration System in Texas; one of the leading diabetes programs in the country. He is a fellow of the American College of Physicians (ACP) and the American Association of Clinical Endocrinologists (AACE). Dr. Cusi currently serves as Chief of the Adult Division of Endocrinology, Diabetes & Metabolism in the Department of Medicine at the University of Florida. He oversees all adult endocrinology/diabetes inpatient consult activities and outpatient clinics at UF, Shands and the VAMC with the mission to provide the highest level of clinical care. He serves as a mentor for all clinical and laboratory research efforts, as well as mentors faculty and fellows in the division to help UF Health take the next step in becoming an international leader in adult diabetes, metabolism, and obesity. His experience in diabetes prior to UF was in the department of medicine at the University of Texas Health Science Center at San Antonio for more than 15 years. Cusi is the principal investigator of various ongoing clinical translational research projects in obesity, Type 2 diabetes mellitus (T2DM) and nonalcoholic fatty liver disease (NAFLD). Dr. Cusi has found in screening studies that most obese patients with T2DM have a fatty liver (as many as four out of five). This poses considerable long-term health risks: dyslipidemia, cardiovascular disease and liver damage. He discovered in a pilot study that pioglitazone (Actos), a drug used in the treatment of T2DM, may reverse a fatty liver in patients with prediabetes or T2DM (Belfort et al, NEJM 2006). Most recently, Dr. Cusi’s laboratory completed the first long-term study (presented at the June 2013 American Diabetes Association annual meeting) that has confirmed and extended the original findings about the efficacy of pioglitazone in obese patients with T2DM and a fatty liver (Cusi et al, Diabetes, suppl 1, 2013).